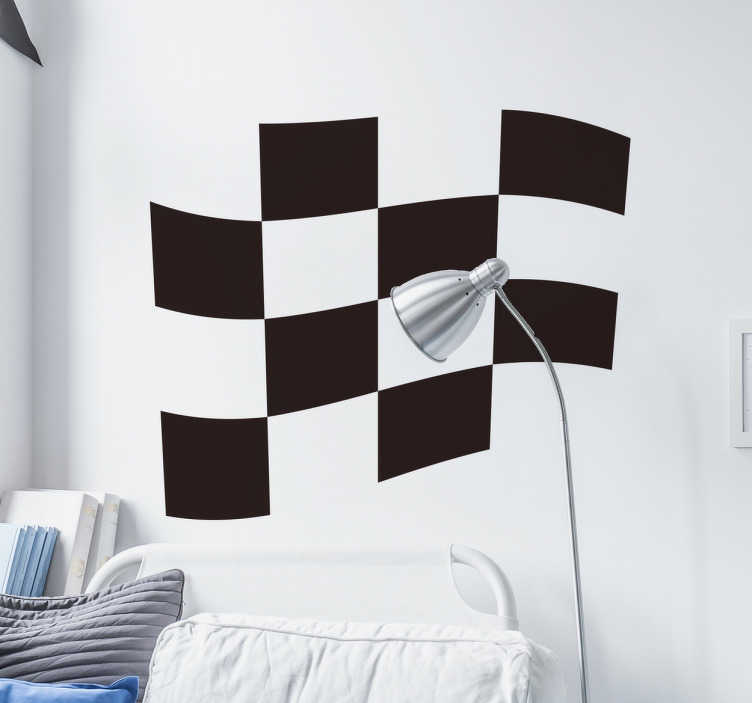 If you're a fan of racing of any description, this checkered flag decorative sticker is the ideal way to let visitors to your home know it! A classic and simple design of a waving black and white checkered flag, this sticker is applicable to any smooth hard surface and comes in a wide range of sizes! Even suitable for outdoor application, this high-quality anti-bubble vinyl is as easy to apply as it is to remove!